Over-the-counter treatments don’t work. The resistance of head lice to the most popular drugstore products is well-researched and well-documented. The most recent report, issued in 2016, found that most lice in 42 states are now resistant to pyrethroids. Pyrethroids are the active ingredient in over-the-counter lice products. Nitpicking is subject to human error. The most effective alternative to drugstore lice products has traditionally been nitpicking. This is the process of combing out live lice, then playing a daunting cat-and-mouse game with the lice eggs (nits). They are tiny—about the size of sesame seed—and they attach themselves with the insect equivalent of superglue to hair shafts. The problem is, that if you miss a single nit, they will hatch, then live lice will multiply again, and you’ll have a fresh infestation. Failing to get every member of the household checked. 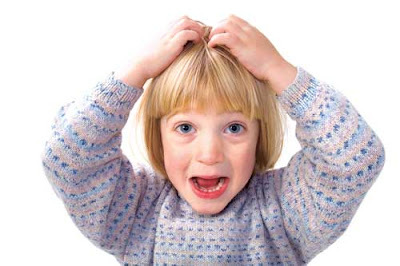 Too often, parents assume that the child that was found to have lice at school or daycare is the only one with lice. That’s unlikely. Because lice spread primarily from close head-to-head contact or from shared hair accessories like brushes, it’s common for the entire family to contract head lice, including parents! If only one person in the family is checked and treated, the lice will likely come back to that person from another family member. Home remedies are unproven at best, dangerous at worst. You can search the Internet for lice solutions and find mommy-bloggers and others that swear by home treatments like mayonnaise, petroleum jelly, olive oil, and even kerosene. The methods vary, but in general, this involves covering a child’s head with one of these substances overnight, which also means covering the kid’s head with some kind of plastic wrap. First, a child sleeping with plastic on its head risks suffocation. Second, substances like kerosene are highly flammable and should not be used. There are two surefire ways to rid anyone of head lice. First, is shaving the head of the person with lice. No hair, no lice! But that’s not going to go over well with most kids. Now, however, there is the AirAllé® medical device, cleared by the FDA and clinically proven to kill live lice and 99.2 percent of nits in a single session. The AirAllé® device uses only heated air to dehydrate lice and eggs—an ingenious approach that bypasses the hassles and risks of traditional treatments. The results are guaranteed when all family members are checked for lice and all infested family members are treated. The AirAllé® treatment is available exclusively at Lice Clinics of America treatment centers throughout the world. There are more than 150 clinics in the United States and another 100 or so in 20 other nations. 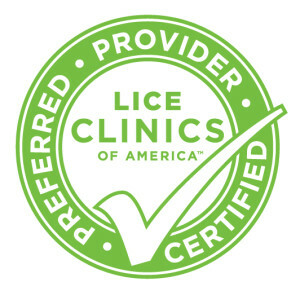 Lice Clinics of America is the largest and fastest-growing professional lice removal service in the world.